Ryanair on January 24 launched over 150 of its most popular routes for Winter 2019, with flights from the UK to destinations in Germany, Ireland, Italy, Poland, Portugal and Spain. The airline also announced extra May flights from London Stansted, with 20 additional return flights to Denmark, France, Hungary, Italy, Poland, Portugal, Spain, Sweden and Morocco. The carrier will offer over 7,500 extra seats added for travel between April 29 and May 7, 2019, to Alicante, Biarritz, Fuerteventura, Gran Canaria, Lanzarote, Marrakesh, Seville and Tenerife. 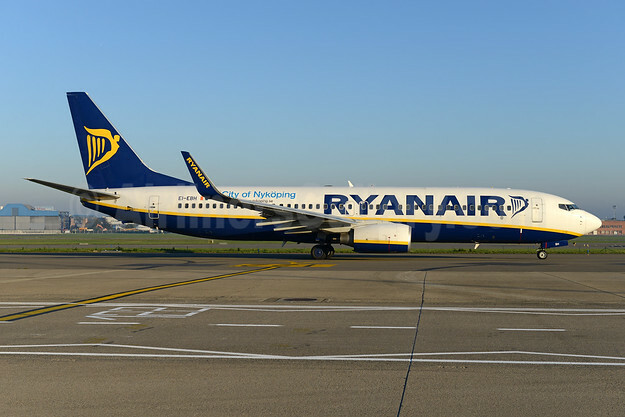 Ryanair’s summer 2019 London Stansted schedule offers 142 routes, including 6 new routes to Kalamata, Kiev, Lviv, Nantes, Rodez and Vigo, with over 1,200 weekly flights, which will deliver over 21.4 million customers through London Stansted Airport this year. In other news, Ryanair announced a new Cardiff route to Malaga, with a three times weekly service commencing in June, as part of Ryanair’s Cardiff Summer 2019 schedule. Ryanair’s Cardiff Summer 2019 schedule offers 5 routes in total, including new routes to Barcelona, Malta and now Malaga, as well as Faro and Tenerife. Top Copyright Photo (all others by the airline): Ryanair Boeing 737-8AS WL EI-EBH (msn 37526) BRU (Ton Jochems). Image: 931661. This entry was posted in Ryanair and tagged Boeing 737-8AS WL, EI-EBH, msn 37526, Ryanair on January 26, 2019 by Bruce Drum.